The Crescent Moon Museum and Oyster Bay’s Hidden Starax! 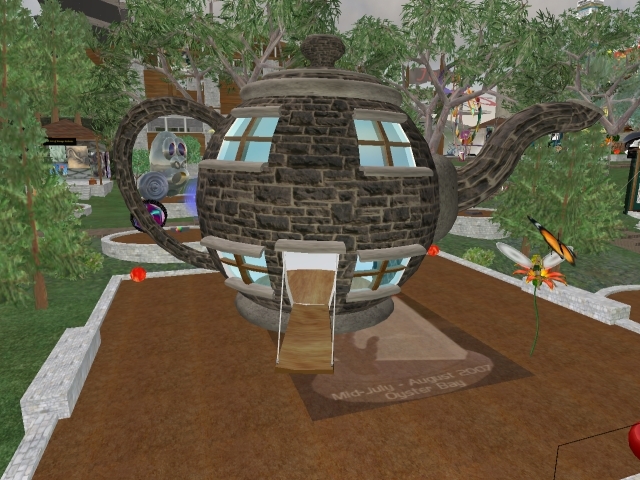 show takes a decidedly fairy-tale turn with two fantasy-driven pieces on the main sculpture platform: Starax’s “Teapot” house and his “Flower and Fairy”. 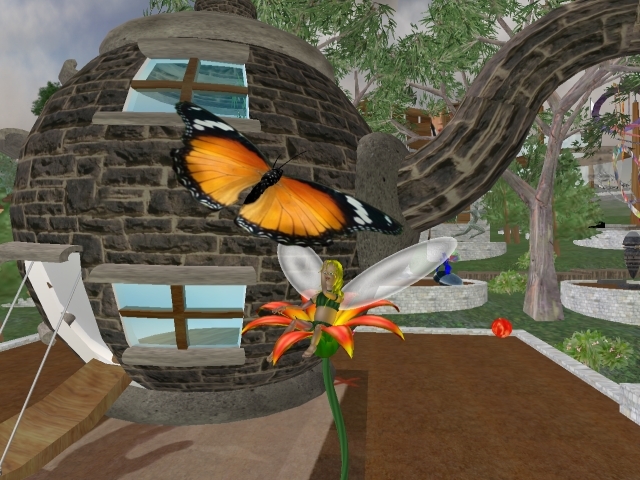 The fairy and butterfly in “Flower and Fairy” are interesting, as they are apparently “temporary rezzing” prims. This usually is a sign of a property owner who is short on prims – to put a construction in a “temp-rezzer” which will flash in and out occassionally. The fairy is a very impressive sculpture in itself – intricately designed construction. Enjoy the childlike wonder of these beautiful pieces of prim construction – and grab a free copy of “Happy Easter Mr. Carrot” as well! All of these pieces are on display until Wednesday night. 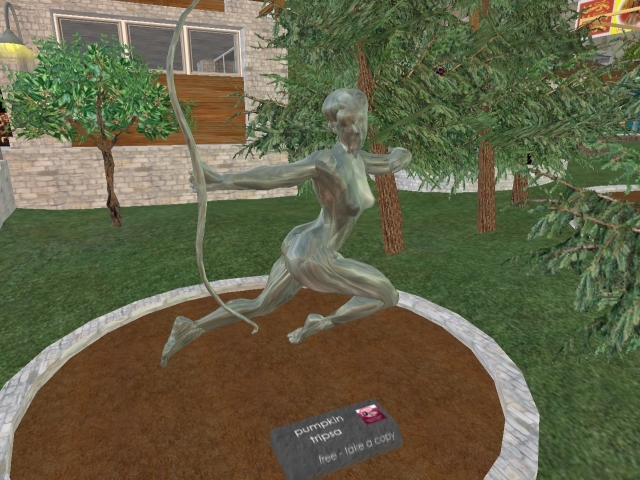 Diana the Huntress, however, is the first sculptie sculpture I saw that really impressed me. The fluid nature of the stretched sculptie texture is a perfect match for the outstretched figure – same for the stone (marble? quartz?) texture, which adds a timeless element while playing to the strengths (limitations?) of the scultpie form. 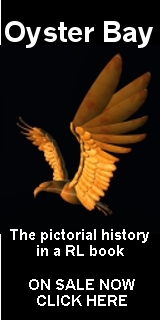 So this piece has important SL historical significance as one of the first of the best of breed for sculpted prim sculpture works. Wouldn’t you know, Pumpkin also put the piece out as a “free to copy” piece. If that’s Pumpkin’s intent, Oyster Bay will honor it. So stop by, grab a copy and own a piece of history! Komuso Tokugawa’s “Poor Boy” – now a video! 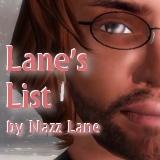 Great video, great song – an incredible first attempt at machinima by the Sensei! A must-watch. Until the advent of Second Life and similar virtual world technologies, the Internet had really only extended pre-existing trends towards music listening as an asocial private activity. As with iPods and the Walkmen before them, listening to music online has been largely a solo activity so far. The iPod advertisements were somewhat foreboding in this respect, the individual reduced to lone dancing silhouette — action without social interaction. In so many situations, we listen alone. 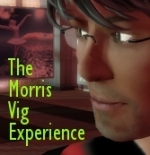 However, Second Life is re-creating music online as a truly social event. 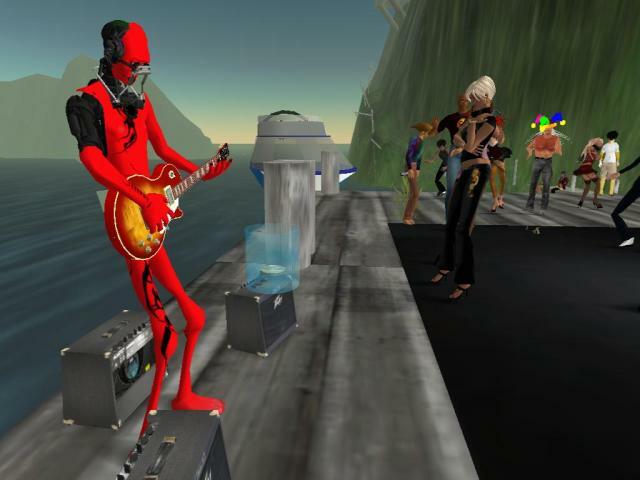 The music played live and streamed through Second Life is simultaneously experienced by those gathered. 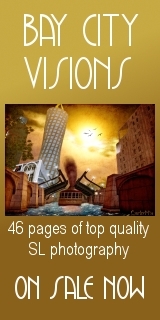 This is a fundamental shift — with Second Life broadcast media and experiential media coalesce. Apparently there will be a series of postings on this topic. I look forward to the next installments!